Painless configuration management software for MicroStrategy administrators, developers, and architects. Configsense is the solution to your configuration management headaches. 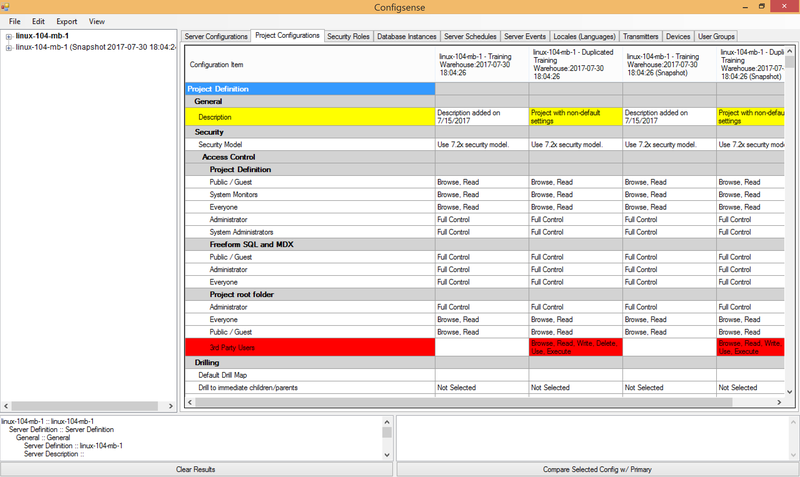 Configsense makes it easy to manage every single setting in your MicroStrategy server and project configurations. 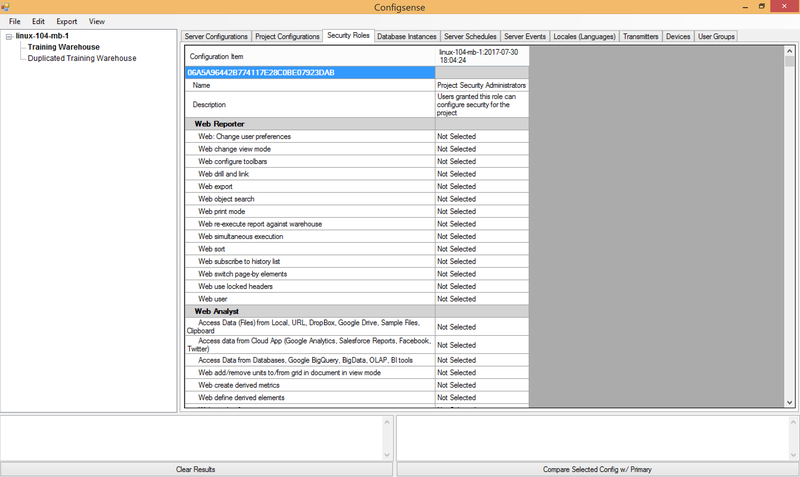 Use Configsense to read thousands of settings in seconds. Clear color-coding highlights all differences. Configsense reads every single setting in your server and project configurations in a few seconds, saving hours of tedious, error-prone manual labor. 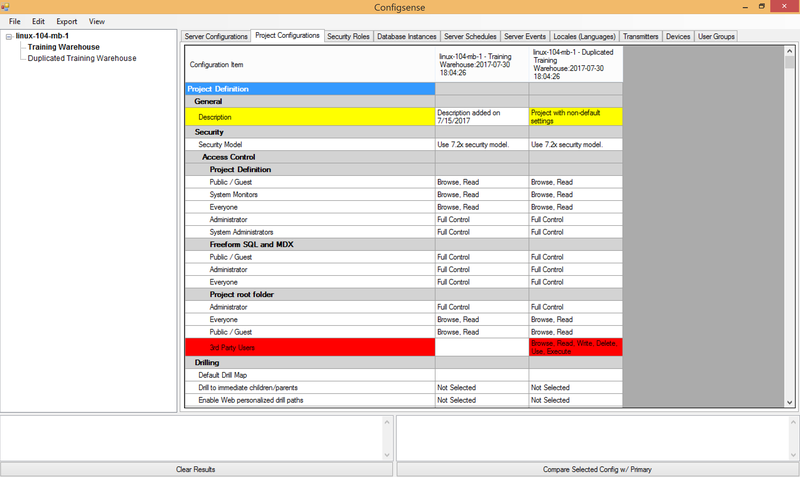 Configsense reads settings from multiple environments and highlights all differences. 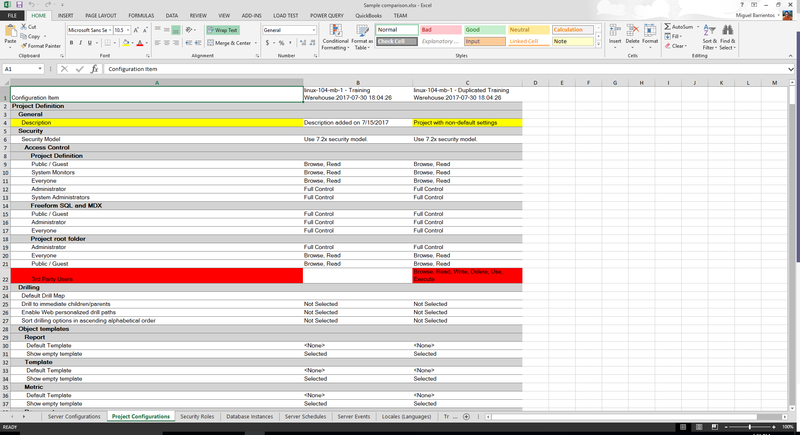 Export full configuration details to Excel. Using a setting meant for development in a production environment can lead to costly problems and system downtime. Use Configsense to audit settings before every deployment. 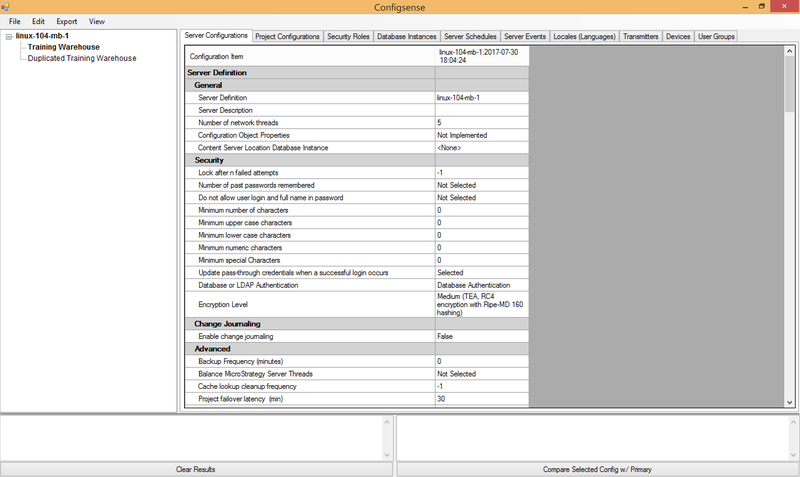 Configsense allows you to capture snapshots of your server and project configurations. Snapshots can be used to identify accidental changes, which can easily take many hours to diagnose.